If you like Renaissance dresses or Marie Antoinette style dresses, then you are in the right place. 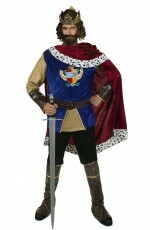 Costumes in Australia brings you a beautiful collection of medieval costumes that can cater to any kind of style and even, be it Halloween, private party or anything else. You can be the Devil Queen or a Medieval Fairy or even a Renaissance Princess with one of the medieval costumes for women brought to you by our store. Check out the designs below and make sure you chose the best suitable outfit for you. Here, you will be able to find the most beautiful medieval costumes for women at the best prices on the market, so take advantage of our special offers now! Order until 4 o’clock and we will dispatch your package the same day. Costumes in Australia accepts returns and exchanges, taking all necessary steps towards the customer’s complete satisfaction. 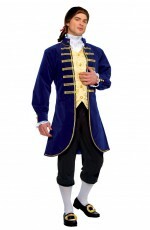 Order now and enjoy gorgeous costumes at low prices!